As per the recent report from Bloomberg, Apple will reportedly unveil its next iPhone, which we're referring to as the iPhone 7 for now, on September 7th. This will fall in line with last year’s launch which was on the 9th, a Wednesday. We’ve seen earlier claims of a September 13th launch as well, so nothing’s set in stone for now. According to the previous rumors, iPhone 7 will drop the beloved headphone jack, include a new home button with haptic feedback and, unfortunately, it'll likely look lot like the 6S. You'll have to wait until next year for a completely redesigned iPhone. Once again, the larger "Plus" model might also have better photo-taking capabilities, as current reports point to a dual-camera setup. Earlier reports also suggests that this year Apple will launch iPhone in three variants including Pro version with the existing variants of Standard and Plus. As reported earlier this year iPhone may include more color in its offering to attract more customers, expected color is Deep Blue. For pricing, today’s rumors don’t paint a bright picture. Both the devices will cost in excess of $700. However, base storage will stand at 32GB, which is great news. To be more precise, the 32GB iPhone 7 will come with a price tag of $796. The 32GB iPhone 7 Plus on the other hand will cost $916. These should be for carrier free variants of the device, with carrier packages, you can see dramatic decrease. In fact, some earlier sources have claimed a $549 price tag for the 32GB iPhone 7. This will mark a $100 decrease from current prices, and serve to attract a lot of customers. It is Apple we’re talking about , so any information about price decreases should be taken with bit of salt. 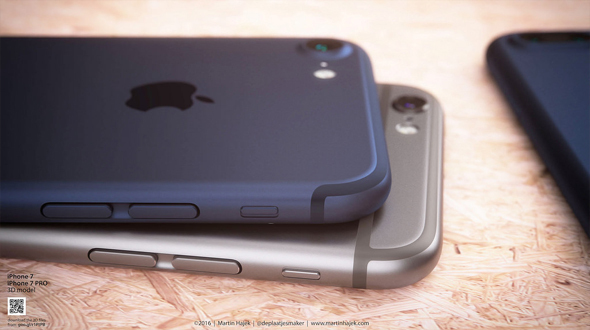 Nevertheless, iPhone 7 and iPhone 7 Plus do look to be shaping out quite nicely. Let us know what you think in the comments section below and stay tuned for the latest. The company has not officially announced the September 7 date, but it does typically send out invitations to the press and analysts about two weeks before product launch events. We could have confirmation as early as next week. If it actually happens on September 7th, it'll have to compete with Sony's PlayStation event on the same day, where we're expected to hear more about the PS4 Neo.